Despite all the claims from Singaporeans on Singaporean food (and yes, I still think Singaporean Chicken Rice taste like ****), the only good food coming out of Singapore for me at least is the frog porridge, especially the one in Geylang. So it was a decent surprise for me when a friend suggested we have Geylang Lor9 frog porridge for supper, right here in ss2. It's a fairly straight affair when it comes to ordering your meals here, Frogs in 3 types of preparation styles: Claypot Frog Porridge, Claypor Spring Onions & Claypot Dried Chillies. Prices are determined by the number of frogs in each dish mentioned, RM12 for 1 whole frog, RM24 for 2 and RM33 for 3. I'd recommend you get 1 frog each in all 3 different preparation styles, if 2 person are eating. There are various stirfried vegetables as well but my mind wasnt on them at all lol. This is the correct way of having Frog Porridge: Get a bowl full of porridge (can be frog porridge or plain white porridge, add pepper, sesame oil and soy sauce to your taste, and then add in frogs and sauce from the spring onion or dried chillies one. I'd personally like to add in both sauces and some pepper sauce with anything else, as that's the best way to enjoy the taste of the porridge and frogs. Taste wise, the dried chillies version was of course, comes with a very aromatic smell and taste superbly well seasoned with a hint of spiciness and heat. The heat was however not overpowering and adds just the right amount of much needed taste into the plain white porridge. The spring onion version was really aromatic as well, and taste just right without any hint of spiciness, perfect for those who cant take hot stuff. The frogs were fresh and very tender, a sign of the chefs' great skills and attention to detail when preparing these dishes. Frog porridge are not an easy dish to make, and the chefs here really prepared them perfectly. Here's a map for you readers. 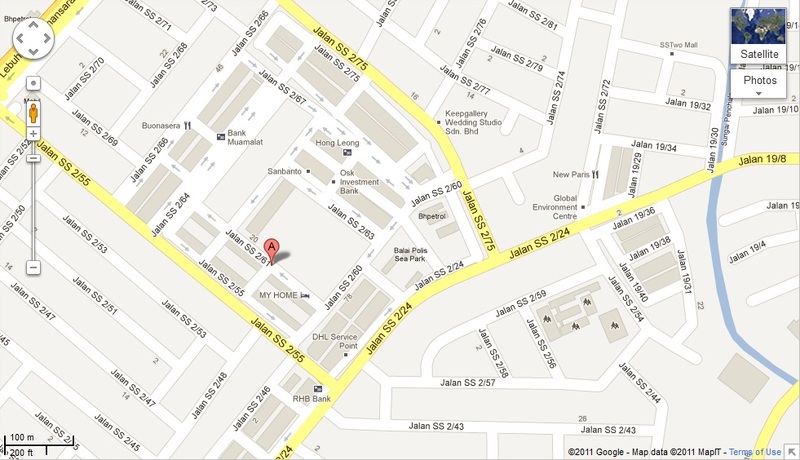 it's located along ss2's 7-Eleven, right across the basketball court. 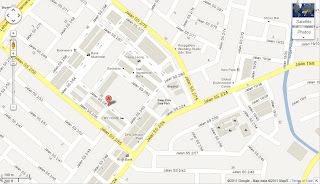 They have branches in Sunway Mentari, Penang (Medan Angsana 3, Air Itam) & Jahor Bahru (Jalan Sengala, Century Garden). doggyjames says...a great find in ss2, certainly worth trying at least one heh?